There's a big red flag in that description and that's "chocolatey". Why aren't we using real chocolate, Unilever? It seems like they're getting cheaper and cheaper with each of their brands. Out of the package, the slice looks cute. 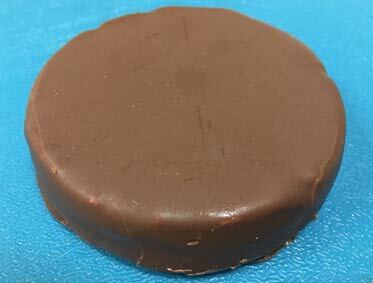 It looks like a round Klondike bar. Cutting this one in half, it leaves a lot to be desired. You don't see much of anything. The coating is thick at least and there looks to be a good ratio of ice cream to coating. Biting into this one, there's a familiar taste. It reminds me of the dark chocolate Klondike bar shell. It's better though because this shell is a lot thicker. It doesn't crack everywhere when you bite into it which is a plus. I wish they didn't go the cheap route though because the flavor is a bit weak to me. 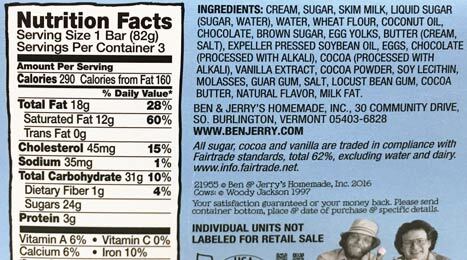 The ice cream is standard Ben & Jerry's quality which is no surprise there. While it didn't look like it, there's plenty of cookie dough pieces in the little bar. The cookie dough is the same height as the bar which is kind of amazing in my book. The fudge chunks are a bit sparse but that just means more room for cookie dough. Overall, this is a decent treat. Is it something to buy right away? Not by any means. I'd wait until it's on sale if you're interested in this one. There's room for improvement in quality as well as creativity. If I had to redesign it, I'd have a layer of the mix in of choice as a shell. So the dark chocolate shell, a layer of cookie dough and then fill it with the ice cream. That would be something more fitting the craziness of the old Ben & Jerry's. If you're reading this Unilever, I want royalties if you take my idea. Dubba's Note: Having tried all four flavors, I need to point out that Nick had the unfortunate situation of eating the weakest of the pint slices before digging in to the better ones. 3 slices per container is lame. Ben and Jerry's can do better, especially at the cost of these. I don't think the "chocolatey shell" is a cost cutting move. 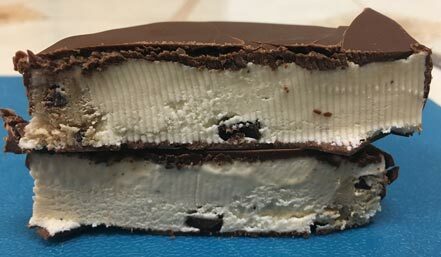 Logistically, how do you make an edible chocolate coating that doesn't immediately melt and fall apart if it has the same consistancy as the ice cream inside? Either way these really don't do anything for me. 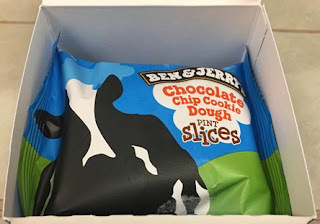 When I heard "pint slices" I assumed they were going to do legit ice cream sandwiches with a slice of a pint as the center. Rich brownies & cholcolate chip cookies surrounding their ice cream? Cmon, step it up Ben & Jerry! Agree. They are missing the boat doing real Ice Cream Sandwiches. 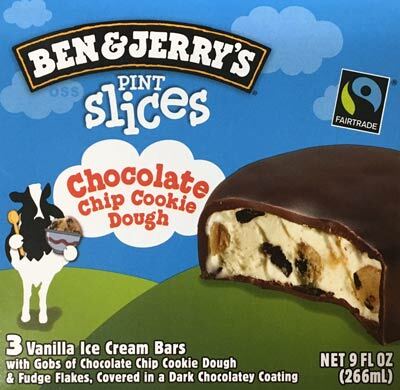 Costs the same as a B&J pint and presumably has the same amount of product. @aol & TheIcon: deconstructed flavors, nice! I had this thinking it was going to fill the peace pop sized hole in my life, but this is nowhere near as good. The Peace Pop had such a decadent amount of cookie dough & I was super disappointed. Pretty much came here to say if you’re thinking peace pop this product will be disappointing.